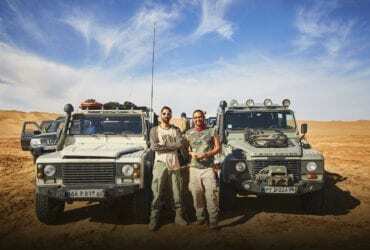 Iran 7 day tour is an opportunity to discover Iran's rich culture and history and its warm-hearted people have always drawn travelers from all over the world to Iran. 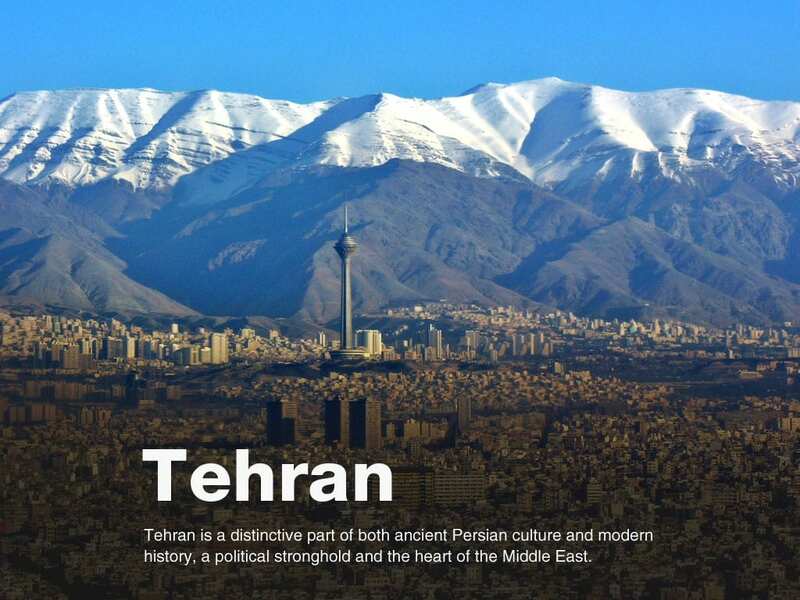 Although it has been a bit isolated from the rest of the world for the past few decades, it’s now opening its doors to all of those who cannot afford to miss the chance to visit Iran, the cradle of civilization. » Explore fabled capitals of ancient empires with our expert trip Leader, well-spoken and experienced in sharing his native land with travelers. 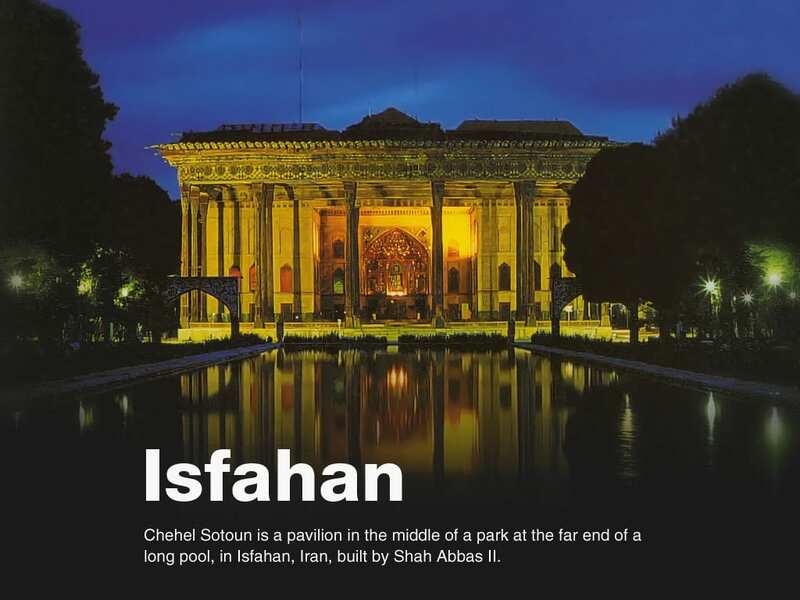 » Stroll in magnificent Persian gardens that trace their design principles to the days of Cyrus the Great. » Mingle with local residents and vendors in colorful markets including the only bazaar in the world recognized as a UNESCO World Heritage site. » Discover Pasargadae and Persepolis, cities of the Achaemenid Empire that rank among the world’s greatest sites of antiquity. » Get to know the warm Iranian people as you dine in fine local restaurants we’ve selected for their delicious Persian food and friendly ambience. After arriving at Imam Khomeini International Airport (IKA) in Tehran, our representative will meet and greet you; then, you will be transferred to the hotel to rest. 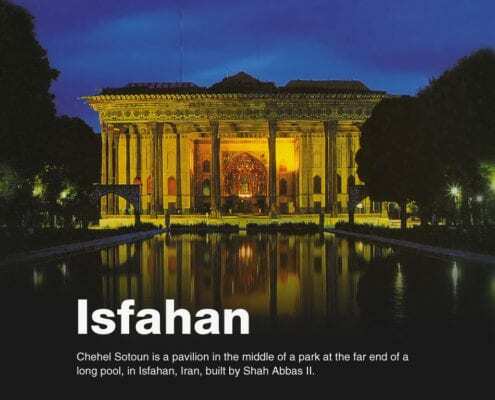 This morning, we will take you to a World Heritage Site, the lavish Golestan Palace. Built during the Qajar Dynasty, that rose to power in the late 1700s, this fabulous walled complex is centred on a landscaped garden with tranquil pools. Many of the elements you’ll admire today, date to the 19th century when local Qajari architects and artisans were looking to integrate traditional Persian style with elements of Western and Russian origin. The palace buildings are among the oldest in modern Tehran and they are still regarded as a crowning achievement of the Qajar era. Then, we will walk around Tehran Bazaar, few steps far from Golestan Palace. Walking along the Bazaar route, we go to Timche Akbarian. Timche Akbarian dates back to Qajar era (almost 260 years old) when its main purpose was to exchange money. Later it was developed into the first bank of Iran and was ran mainly by Jews who were the prominent residents of Oudlajan neighbourhood. As of today, there’s no bank or money exchange but the place has been delicately restored into a Dizi Sara and a tea house where tea comes in thin waist cups and along with sugar canes. 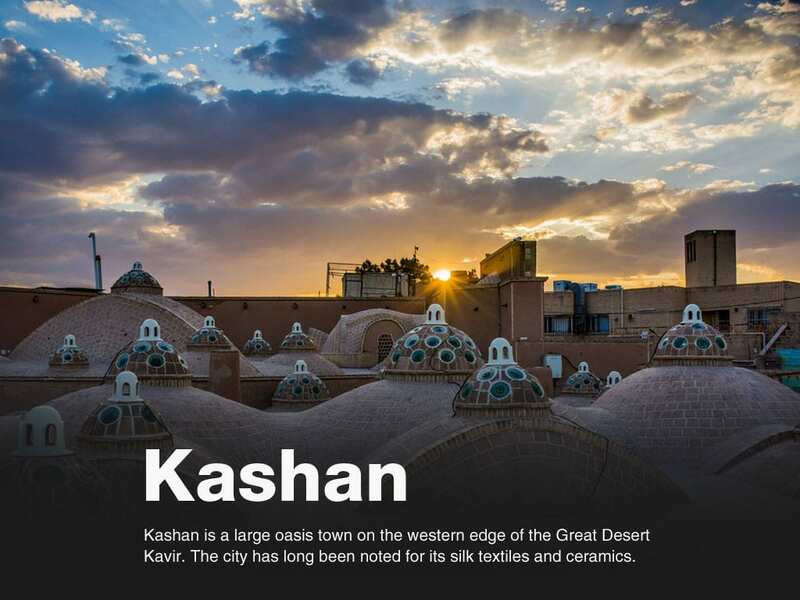 Then, you will visit Karim Khan Citadel. Built during the Zand Dynasty. You will end your day on a tranquil note in the lovely garden–tomb of Sa’adi and garden-tomb of Hafez, two of our most outstanding poets to feel the taste of Persian Literature. Hafez is one of the great poets who has impressed everyone with his mastery. His poems give us a special feeling and the peace in his tomb is really outstanding. Sa’adi is a poet, philosopher and mystic who is known as the father of alternative tourism. About seven centuries ago, he travelled to different countries and cities. Then, he collected all his experiences in verses and rhymed prose in two books named Boustan and Golestan. These two books give you lots of inspiration and information. We will get a chance to pay homage to tombs of these great poets. Today, we have a full day of driving to reach our destination of Yazd; it is a good idea to stock up on locally bought and easily found dates and pistachio nuts for the journey. We will have some stop on our way to visit the Legendary City of Persepolis, the former capital of Darius the Great which was founded in 512 BC. There was no more impressive construction in the ancient world than Persepolis, except perhaps the Karnak in Egypt. Darius built the terrace, Apadana (great audience hall), Tachana (a palace), and the Monumental Staircases; his son, Xerxes, added the Harem and the Hall of 100 Columns. Alexander the Great entered Persepolis in January 330 BC and then committed an uncharacteristic act of wanton destruction that still mystifies historians today, burning the mighty city to the ground. Though a shadow of its former self, the soaring pillars, terraces and sculptures of Persepolis still remain, probably most impressive are the bas-reliefs which line the site, telling the story of ancient governors and kings that came to Persepolis to pay tribute to the Persian Emperors. Then, you will visit Pasargadae, a UNESCO World Heritage Site, the Tomb of Cyrus the Great and former capital of the Achaemenid Empire. We will spend some time exploring the site and though not as striking as Persepolis, there is a great viewpoint where we can look over the site and the surrounding area. 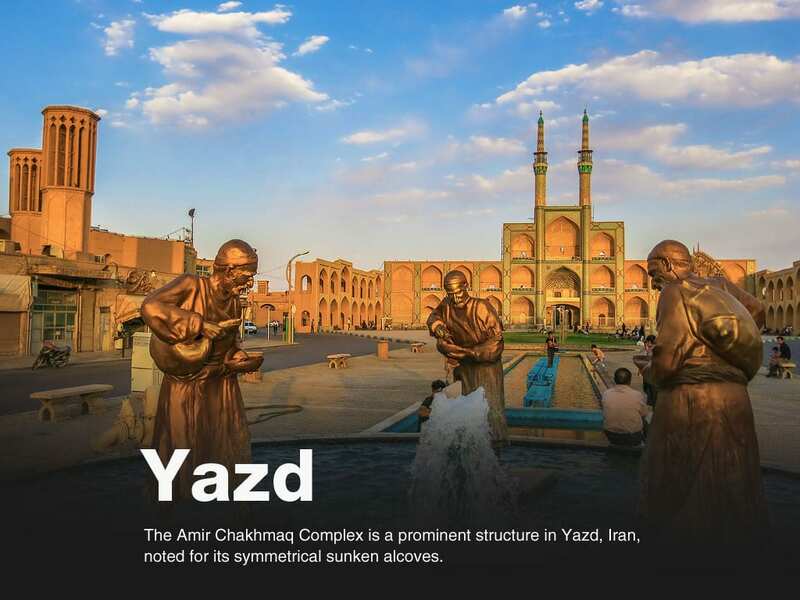 Continue to Yazd and check into the hotel. As the 17th-century capital of the Safavid Empire, Isfahan was one of the world’s greatest cities– architecturally striking, wealthy beyond imagine, and politically powerful with Europeans, Ottomans, Indians and Chinese coming to its court– the heart of a vast Persian Empire that stretched from the Euphrates River in present-day Iraq to the Oxus River in Afghanistan. Indeed, its grandeur inspired the rhyming proverb, Isfahan nesf e jahan (Isfahan is half of the World). Your exploration continues in Imam Square. This 17th-century site is one of the largest public spaces in the world. Here in the square, you’ll visit the 17th-century Shah Mosque, revered as a masterpiece of Islamic architecture and easily recognized by its magnificent tile-work and soaring cupola and minarets. 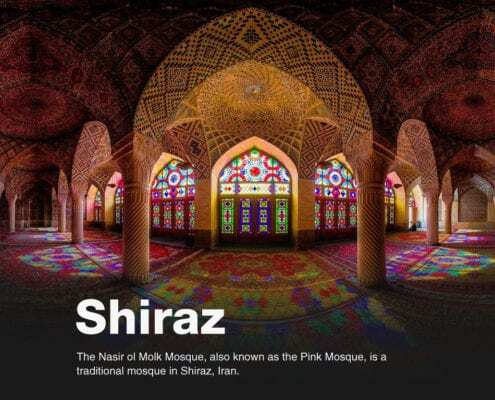 You will also visit Sheikh Lotfollah Mosque, also known as the Ladies Mosque, as it was built for the Shah's harem, renowned for the brightly coloured domed ceiling, where the light creates the image of a peacock. In the Ali Qapu Palace, you’ll marvel at its beautiful music rooms and the balconies where Safavid kings would sit to enjoy the polo matches unfolding in the square below. You’ll end your exploration of the square by visiting the Qeisarieh Bazaar. With hundreds of local vendors that specialize in traditional arts and crafts, it’s a wonderful place to shop for pottery, enamel, jewelry and delicately inlaid board games. 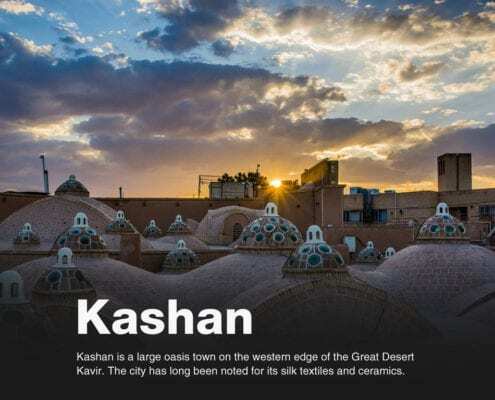 Then, we will visit Kashan, a town originally famous for its textiles and ceramic production, but now better known for Fin Garden and its extensive bazaar and hamams. Then, you will visit Boroujerdi Traditional House. 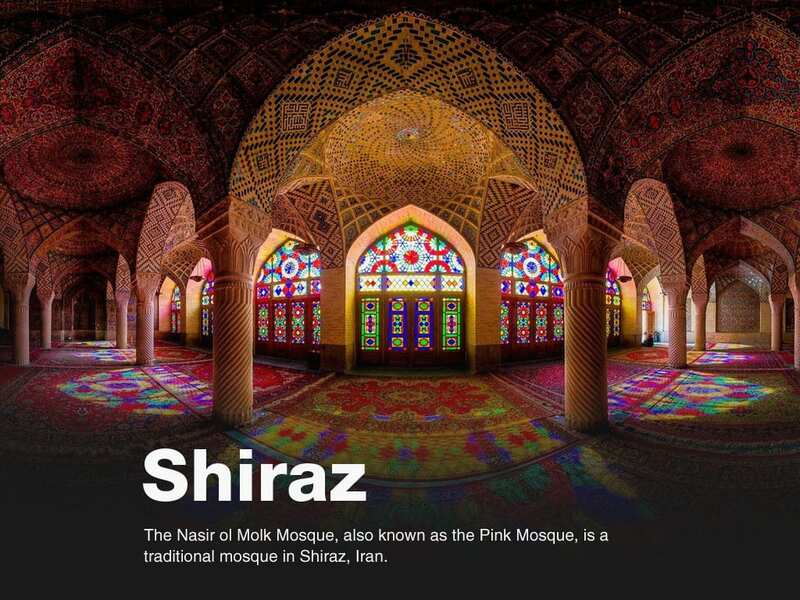 It was built about 130 years ago in the reign of Qajar dynasty (1857) by Iranian famous architect Ustad Ali Maryam. The owner was Haj Seyed Hasan Natanzi, a well-known merchant who mostly dealt with people of Boroujerd city. That’s why the house is known as Boroujerd's House. 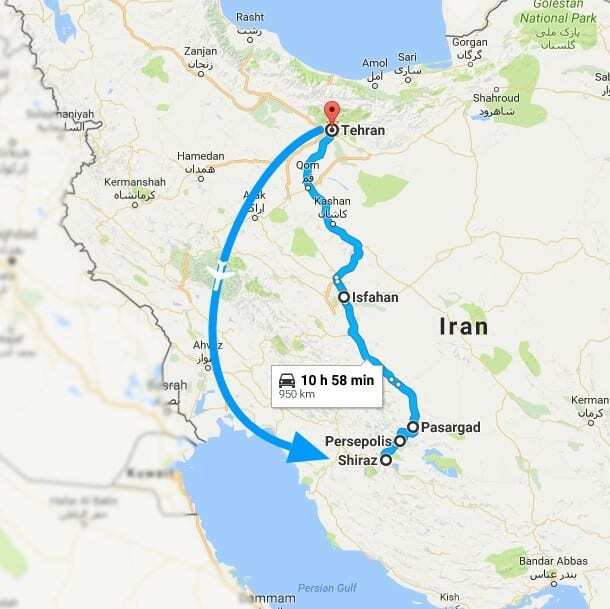 Then, we will drive to Tehran. Most tours are based on customers sharing twin-bedded rooms. However, on many tours we offer the opportunity to pay a supplement to pre-book a single room. 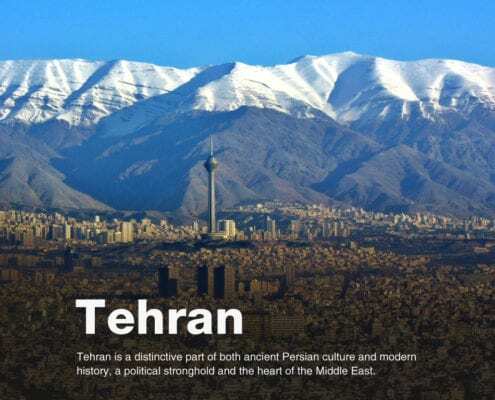 Iran 7 day tour is also available for booking privately for travel anytime through the year, and we can also customise the itinerary to fit your personal requirements. Please contact us for details and prices. 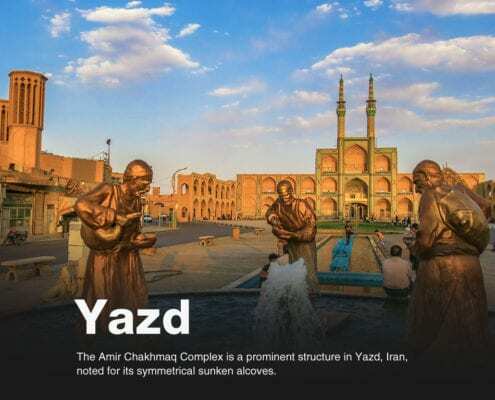 A single supplement is available on Iran 7 day tour. We use good quality hotels rated at the Iranian Local House and 3 star level on Iran 7 day tour. Local star ratings may vary slightly from international standards . Accommodation is based on double or twin en-suite rooms with air conditioning. All couples will have a private double room. Single travellers may choose to pay a single room supplement to guarantee themselves a single room throughout the tour. Alternatively, they may choose to share a twin room with another traveller. If there are no other single travellers available to pair up with at the time of your booking, then we will add the single supplement to the tour price, but will refund this or deduct it from your balance payment if we are able to pair you up later on. 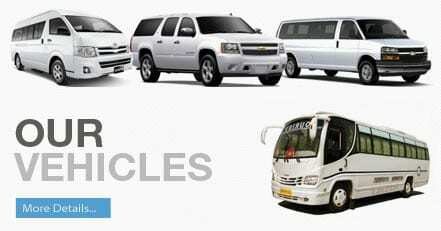 In your trip we use private AC Van, Middle Bus or Bus throughout Iran 7 day tour, subject to the final size of the group. 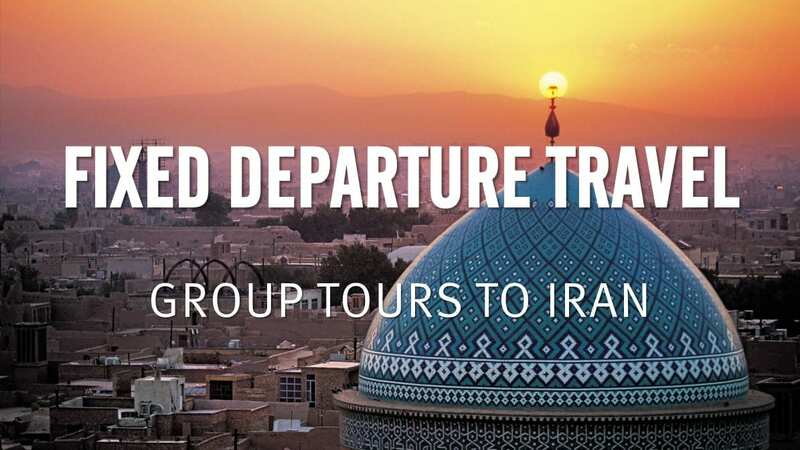 We run regular small-group departures on Iran 7 day tour. All departures are guaranteed to run if a minimum of 6 travellers is reached. If you would like to book a place on Iran 7 day tour, please complete the online reservation form on our website. We will then contact you with more details about how to complete your booking. Payments may be made by making a bank transfer. Full details will be provided in your booking confirmation email. Please contact us if you would like any more information or have any questions before making a booking. These tour joining details are provided on a provisional basis and may change prior to Iran 7 day tour departing. Any changes to these details will be updated on this page.